Many of our competitors promise their clients all cash deals. 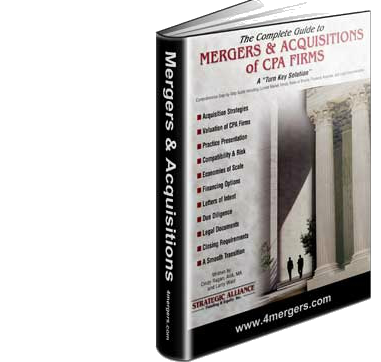 But we have found that those are the worst M&A transactions for long-term success, for both parties. If the Seller gets all cash at closing then he/she has no incentive to carefully transition the clients over time, and it takes time. Instead, they are off sipping martinis, believing they got the best deal ever, only to find themselves in court a year later. 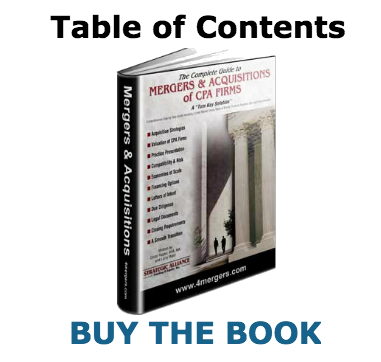 Once the Buyer realizes that he/she is not going to get all of the clients/revenue that they paid for, they litigate. And a majority of the clients won’t transfer without Seller involvement, so attrition will be high. We know this because they call us as expert witnesses. In addition, all cash deals get lower multiples because all of the risk is with the Buyer, so they pay less.